TORONTO, August 17, 2015 – Avanti Computer Systems Limited, a leading provider of Print MIS solutions, today announced that the two newest Avanti Slingshot modules have received the prestigious MUST SEE ‘EM awards in connection with Graph Expo 15, the industry’s largest North American trade show. The company also announced that both modules—Grand Format Estimating and Automated Press Sheet Optimizer—are now commercially available. Avanti Slingshot’s latest release addresses several gaps in the print industry today, namely Grand Format and Gang-run estimating which, historically, required years of experience in both estimating and production planning to properly manage. Avanti Slingshot’s Grand Format Estimating takes into consideration unique imposition/layouts (number across/number along), material requirements, edge sealing, grommet placement, ink coverage, square inch/feet calculations, and substrate utilization to optimize workflow. It accounts for all aspects of the process, including tiling, handling multiple rolls across the bed, ganging, as well as logistics (e.g., finishing, assembly, installation, and multi-location shipping). Avanti Slingshot’s rules-based Automated Press Sheet Optimizer automatically processes ganging criteria and calculates the optimal layout for an estimate and sales order. Taking into account specifications of the press and substrate, details for the gang run (plates, ink, substrate, and press calculations) are determined. Handling all of the complexities of single form/multi form, versioning, combo jobs and envelopes, Avanti Slingshot calculates and displays the number up of each item on the gang sheet and then shares that information throughout the entire Avanti Slingshot system, driving production planning, scheduling and job costing. 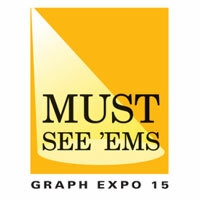 Visitors to Graph Expo 15 can see Avanti Slingshot’s latest release in the Avanti booth, #654. The trade show will take place from September 13th through 16th at McCormick Place in Chicago. For those unable to attend Graph Expo, Avanti is hosting a live “sneak peek” webinar featuring the winning modules on Thursday, September 10th. Individuals can register for the Avanti webinar by visiting avantisystems.com/graphexpo2015-sneakpeek.